Nobody likes weeds. 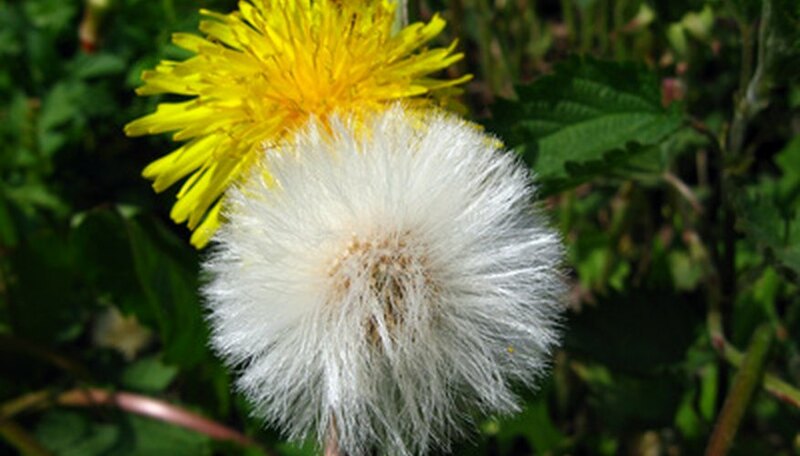 Whether you’re fighting crabgrass, dandelions or any other unwanted small plant that has invaded your property, weeds are something against which most homeowners and gardeners often wage a continual battle. Perhaps you have used chemical herbicides, and perhaps they have worked. But if you have worried about their effects on your edible plants, pets and yourself, you are just one of many people who are thinking about going more “green.” The good news is that natural organic herbicides are easy and inexpensive to make. Nip weeds in the bud—literally. If you hand pull or kill weeds before they form flowers and their resulting seeds, the weed plant you control will not be able to spread its children all over your garden. Spray weeds with 10 percent white vinegar made from grain alcohol. Avoid natural vinegars made from fermented apples because they have little value as herbicides. Fill a spray bottle with full-strength vinegar and spray it directly only your weeds on a hot, sunny day. Repeat this application in one to two days and expect better results on smaller weeds than on plants that have grown large. Spray resistant weeds with a stronger formula containing 1 gallon of 10 percent white vinegar, 1 oz. of orange oil, 1 tbsp. of molasses and 1 tsp. of liquid dish soap. Shake this mixture each time before you use it and avoid spraying it on plants that are not weeds. Expect the best results if you spray while your weeds are in the warm sun. Use corn gluten meal as a pre-emergent herbicide to prevent weed seeds from growing after they sprout. Spread 20 lbs. of corn gluten meal over each 1,000 feet of garden row. Reduce this amount based on the size of the area you need to treat. Five days after you apply this product, water the area well if no rain occurs. Corn gluten meal remains effective for five to six weeks. Reapply it if weeds continue to appear. Solarize areas where many persistent weeds have the upper hand by spreading a layer of clear plastic sheeting over the areas. Although solarization is not an herbicide, it is a tried and true organic gardening method that is effective and inexpensive. Solarize during the hottest six weeks of summer—this will require you to leave the area where you solarize free of other plants. Mow or weed whack tall weeds and then spread a layer of clear plastic over the area, sealing it securely with rocks around the periphery. In a few weeks’ time, your weeds will be dead and their seeds, if any, will be cooked. To prevent weeds in any garden area, lay down landscape fabric into which you cut holes for the plants you want to grow. This material is porous, so water can penetrate the root areas of your plants. You can also kill weeds by placing a thick layer of newspaper or flattened cardboard over the area where the weeds exist. Any type of mulch, such as wood chips or sawdust, will help to control weeds from sprouting. Corn gluten meal is available commercially under such brand names as Safe Lawn, Amaizely Green and Weed Ban. See Resources. Although bleach will kill weeds, avoid using it because it introduces toxins into your soil---and the environment. Also avoid using salt because it will leach into the soil and possibly affect your desirable plants.